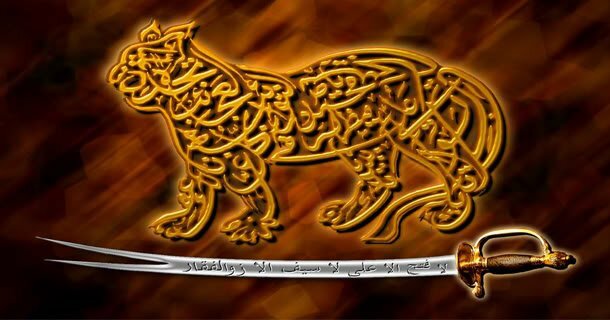 Hazrath syed shah Maqdoom Ziauddin Biabani Al Rifayee Al Qadiri (R.A.) was the founder of the pedigree (shijra) “Biabani”. He was a great saint (Vali Allah). In his pedigree, he was the 12th descendant of sultan-ul-Arifeen Hazrath Syedna Ahmed Kabir Al-rifayee Mashooq Allah and 28th descendants of Ameer-ul-Momineen Syedna Ali Ibn-e-Abi Talib Razi Allahu Taala unh. It is said, regarding “Biabani”, the name of the family that there was a place in Iran called ‘Beban’ where Hazrath Ziauddin Biabani’s forefathers lived. They were the native of ‘Beban’. They acquired their family name as ‘Biabani’ after the name of their native place. When they came to India, Indians called them ‘Biabani’. There is some controversy in this regard. Some people say that ‘Biabani’ means the residents of forest. Since they came to India and performed prayer and meditation in the forests of Multan (it was a part of India at that time). 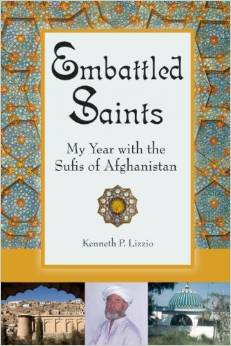 The sufis of that period used to perform prayer and meditation generally in the forest. It was their instinctive quality. It was the first time the name ‘Biabani’ was suffixed to the name of Hazrath Ziauddin (R.A.). Since he was founder of the ‘Biabani family’, it was worthy to note that all the descendants from Hazrath Ziauddin Biabani (R.A.) to Hazrath Afzal Biabani Al Rifayee (R.A.) invoked the name of Allah, prayed and meditated in the forest and thereby kept the nomenclature of ‘Biabani’ alive. Hazrath Ziauddin Biabani (R.A.) was born in Multan of India (819 Hijri) long before the accession of the first Moghul Emperor Babar. It was in Farghana when Ibrahim Lodhi was ruling the north India. In the FOREFATHER Syear 842 Hijri i.e., 1456 A.D. Hazrath Ziauddin Biabani (R.A.) migrated from Multan to Qandhar shareef village situated in Nanded District, which was in the Bahmani State. During that period Qandhar was a great centre for Islamic studies. It was because of the presence of Hazrath Syed Shah Ali who was known as Sang-de-sultan Mushkil Asan (R.A.). Hazrath Ziauddin Biabani (R.A.) became a disciple (Mureed) and khalifa of Hazrath Sang-de-sultan (R.A.). A part from his family Rifayee tariqa (order), he adopted Qadriya, chishtiya, suharvardiya and Naqshbandiya taruq forms of sufism. Hazrath sang-de-sultan (R.A.) liked him more than he liked his kith and kin. Hazrath Ziauddin Biabani Rahmathullah Alaih married Hazrath sang-de-sultan’s sister. On the instructions of his spiritual Master (peer-wa-Murshid) he migrated to Ambad, in Jalna District in the year 1470 A.D. to preach Islam. As the people of Ambad did not allow him to enter the village, he settled in the forest, 3 kms away from Ambad. He named the place Faqrabad. There he worshipped, prayed and invoked Allah for quite a long time on the hill called Faqrabad hill. He worshipped Allah for several years near the bank of the river Rauna Prada. The river is situated about 12 kms away from Ambad. According to Professor Ziauddin, the people of nearby villages were very happy because they got very good yielding from their crops. They thought that this was all because of the holy presence of Hazrath Ziauddin Biabani (R.A.). Even today people visit this holy place for the divine blessings. Uood dan, ghilaf shareef and morchal float on the waters of the river when the river flows in full swing. During Moharram, majalis (assembly) of devotees and disciples were conducted and Hazrath Ziauddin Biabani (R.A.) used to recite lines from the ‘SHAHADATH NAMA’ to remember the great souls of Syedna Imam Hussain Razi Allahu Taala anhu and his associates. Hazrath Ziauddin Biabani (R.A.) was an extra ordinary saint, a man of miracles. He wrote many books; notable among them are Mat loob-ul-talibeen and Bahr-ul-Ansad. He died in 1523 A.D. (i.e., 10th Jamadi-ul-awwal 909 Hijri), at the age of 99. Mohammad Hussain, a disciple (Mureed) wanted to build a tomb on his grave. Hazrath Ziauddin Biabani (R.A.) appeared in his dream and told that a tomb might be constructed on the grave of his beloved son Hazrath Ashraf Biabani (R.A.), instead of on his grave. There is the grave of his wife in the south of his grave. There was a Mosque near by his grave whose signs are still seen.